The former One Direction singer’s relationship with the pop star has come under scrutiny in recent months. After being accused of putting on a “stunt” with a loved-up display at the Brit Awards in February, he says they’re just like anyone else. “I’m not gonna sit here and say that everything’s absolutely fine and dandy,” he told ES Magazine. “Of course you go through different things, and that’s what a relationship is. But we go through them together as a family and that’s the most important thing for me. All relationships “go through a spot like that”, he added. Liam and Cheryl, whose son Bear is nearly one, faced rumours last month that they were on the brink of splitting up. Tabloid reports suggested the age difference – Liam is 24 while Cheryl is 34 – had become an issue for the former Girls Aloud singer. It was also claimed Liam’s solo career was getting too much for the couple. The singer described himself as “fortunate” to be with someone who gets the pressures of being a world famous pop star – but acknowledged that it also adds to the obsession. “Having someone else who’s so high-profile in the media pushes everything that I do to another level and I think it’s weird,” he said. 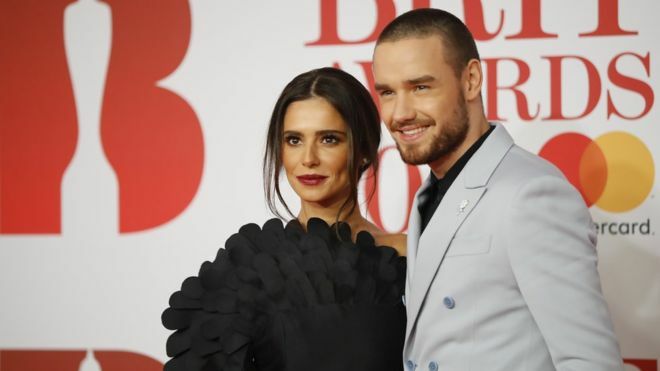 Cheryl hit back at reports about her and Liam’s “stunt” appearance at the Brits in February, where the couple arrived hand-in-hand and turned up the PDA for the cameras. Liam also spoke about his son, who he said both parents want to keep out of the public eye. The former One Direction star first appeared on the X Factor when he was 14 but says it was very much his own choice, and one he wants Bear to be able to make on his own too. Liam’s since gone on to have a successful solo career – with ‘Strip That Down’ being streamed globally over a billion times. His debut album is expected later this year.